Earlier this week, BMW Group announced that the company enjoyed a robust United States sales performance last month, with 34,253 BMW vehicles sold throughout the United States helping deliver a 4.3 percent sales improvement when compared to the 32,835 vehicles sold in December 2016. For the full 2017 year, a total of 305,685 BMW vehicles were sold to United States customers. BMW credited the month’s results to a strong demand for the BMW 5 Series, with 4,743 sedans sold during December — marking a sales gain of 124 percent. We feel that we should also point out the results delivered by two of the company’s Sports Activity Vehicles, as the BMW X5 increased sales 10 percent on 6,847 vehicles sold, and the BMW X1 saw 4,454 vehicles delivered — for a 6.4 percent improvement. The thoroughly-vetted BMW Certified Pre-Owned vehicles also enjoyed a strong performance in 2017, with 135,864 vehicles sold marking a 5.2 percent gain over 2016’s results. 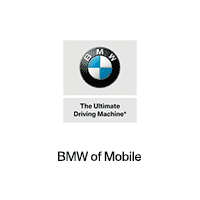 Contact BMW of Mobile to speak with one of our team members and find out more about our BMW inventory.